Qatar Airways’ A350-1000, the world’s most technologically advanced passenger aircraft, will land in New York on 28 October, marking the airline’s first U.S. route to operate commercial flights on the ultra-modern aircraft. Qatar Airways Group Chief Executive, His Excellency Mr. Akbar Al Baker, hosted a media roundtable luncheon to discuss the highly-anticipated arrival of the A350-1000 to John F. Kennedy International Airport (JFK), the first of its kind operating in the United States. 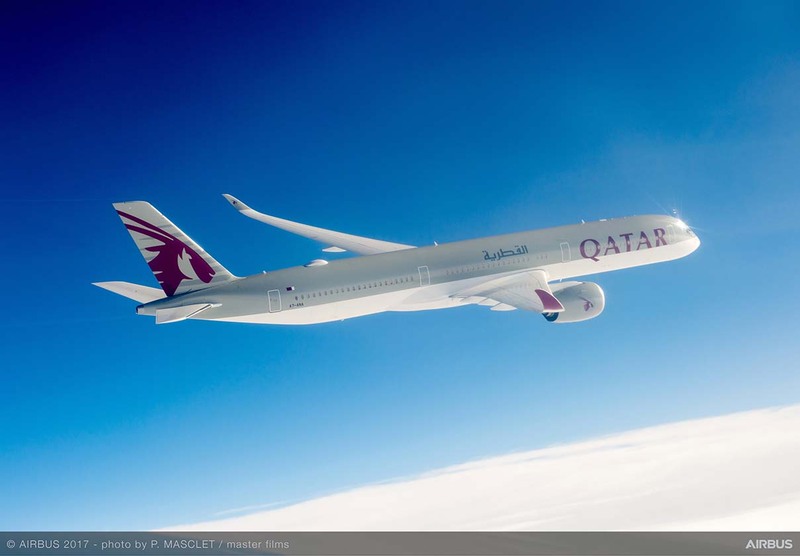 The airline is excited to integrate the aircraft into its operations with the Oneworld Alliance, Qatar Airways’ state-of-the-art fleet, as well as other partnerships and sponsorships offered by the airline. The A350-1000 will travel to a variety of destinations that will be shared in the following months. H.E. Mr. Al Baker also stressed the importance of the airline’s position in the Oneworld alliance, one of the most important tools for collective action in serving the needs of the customer. The GCEO further emphasized how the beneficial exchange of culture and commerce made possible by the U.S.Qatar Open Skies Agreement must not be blocked merely because of Qatar Airways’ decision to serve markets that others have ignored. The A350-1000 aircraft, the latest member of the Airbus wide-body aircraft portfolio. The aircraft offers enhanced levels of passenger comfort, thanks to the lowest twin-engine noise level of any aircraft, advanced air conditioning technology and full LED mood lighting. The A350-1000 also features the airline’s groundbreaking Qsuite Business Class seat, which offers the industry’s first-ever double bed in Business Class, as well as privacy panels that stow away, allowing passengers in adjoining seats to create their own private space, offering an unmatched, customizable experience. Qatar Airways serves 10 cities across the U.S., including Atlanta, Boston, Chicago, Dallas-Fort Worth, Houston, Los Angeles, Miami, New York, Philadelphia and Washington, D.C. The airline provides double-daily flights from New York’s JFK airport.